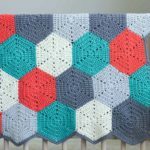 Whether you’d like to fill in the edging on a hexagon afghan or simply want to make multi-colored hexagons, this easy, free pattern will teach you how to crochet a half hexagon and customize the size to meet your needs. Hexagons are my fave. 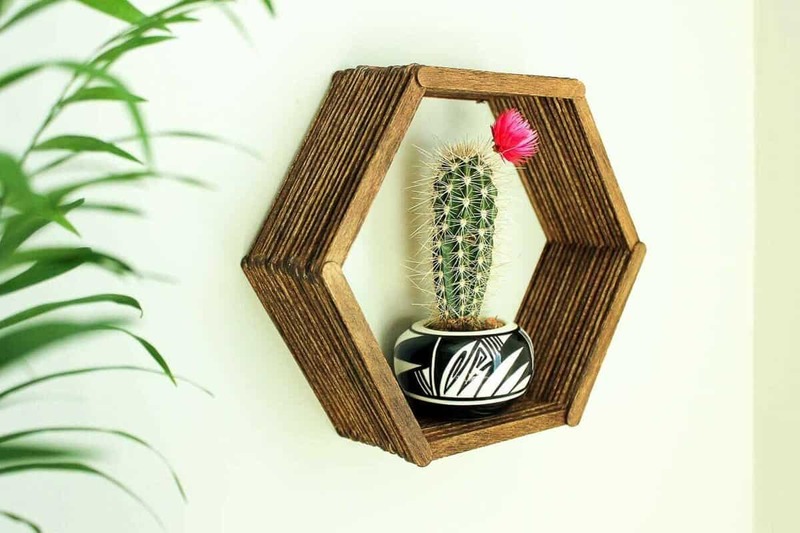 That’s why I’ve used them in this popsicle stick hexagon shelf, this giant squishy knit object and most recently in my “Happy Hexagons” free afghan pattern. 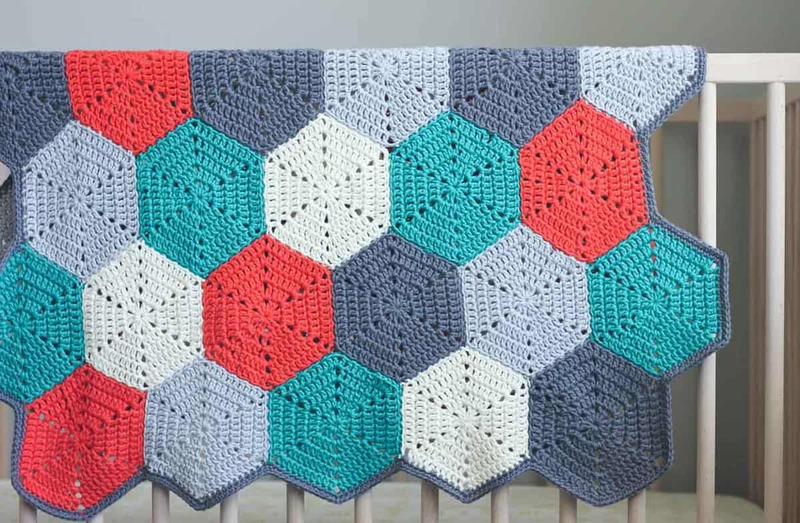 For my afghan, I decided I liked the look of the geometric edge, but if you’d like a straight, even edge on your own blanket, half hexagons are where it’s at. 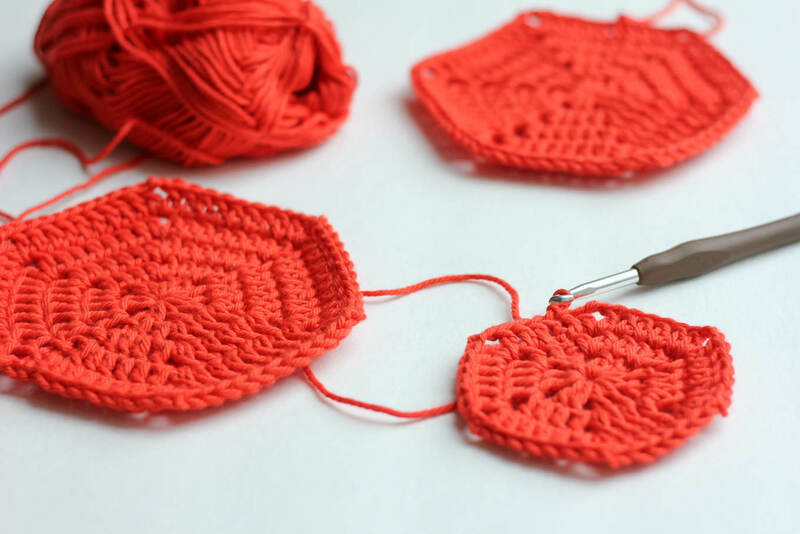 These half hexagons are made very similarly to my basic hexagon pattern, but the difference is that these are worked in back and forth rows and the full hexagons are worked in the round. 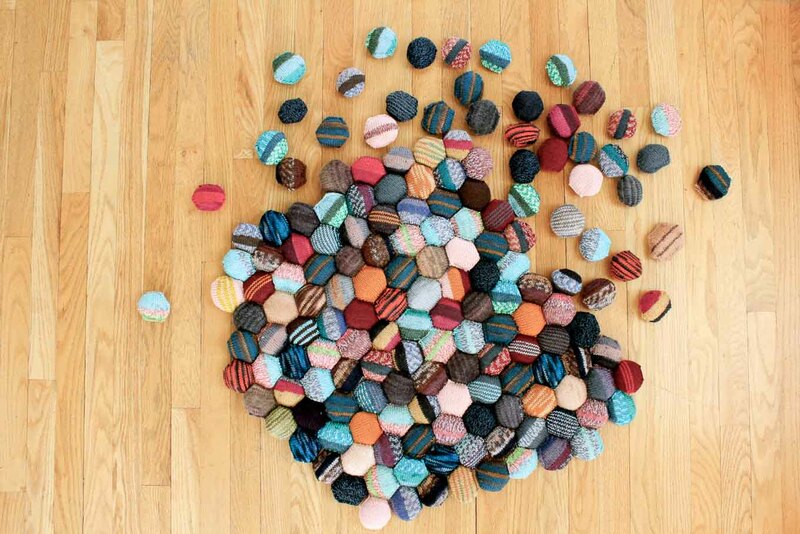 I think hexagons and half hexis are the perfect portable crochet project to stash in your purse. 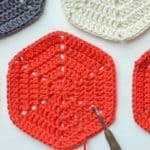 Hexagons are similar to crochet circles or squares in that once you understand the basic math of the increases, you can customize your hexagon to whatever size you wish by just adding more rounds (or in the case of a half hexagon, rows) and continuing to increase as you go. If you’re wondering how to get the edges of your hexagons straight and your edges just so, make a $2 blocking board and they’ll all look nice and tidy. 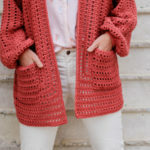 ice aAnd then to sew these little beauties together, check out this post on how to join hexagons with an invisible seam. 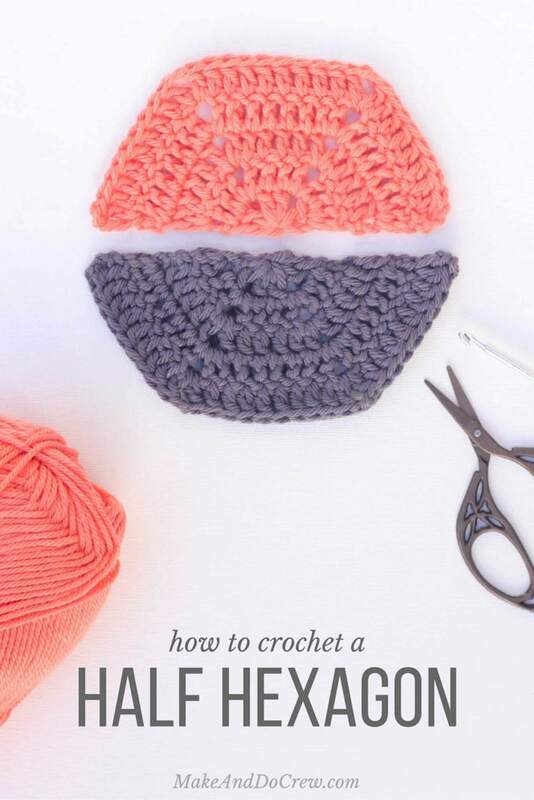 NOTE: Using worsted weight yarn and a size H hook, this pattern will create a half hexagon that has a 6” diameter, which is the perfect size to complement to my “Happy Hexagons” afghan pattern. For a larger or smaller half hexagon, just increase or decrease the number of rows. 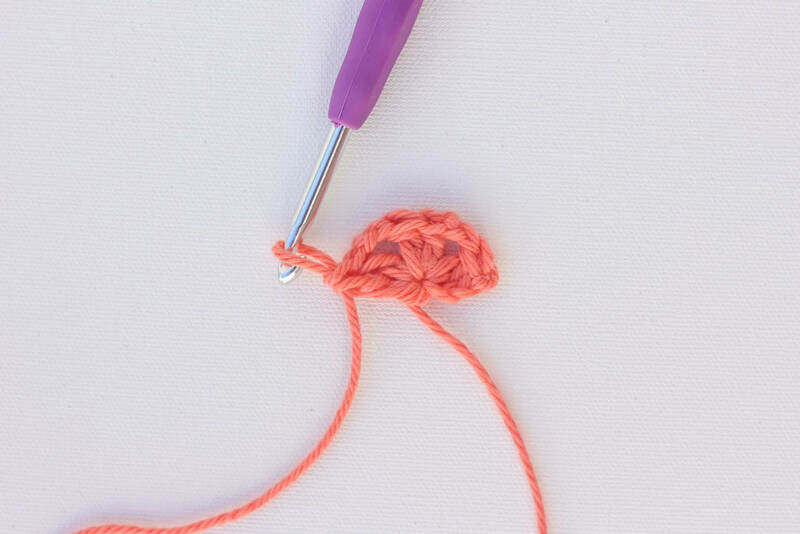 Make a magic ring. ch 1 to secure the ring. 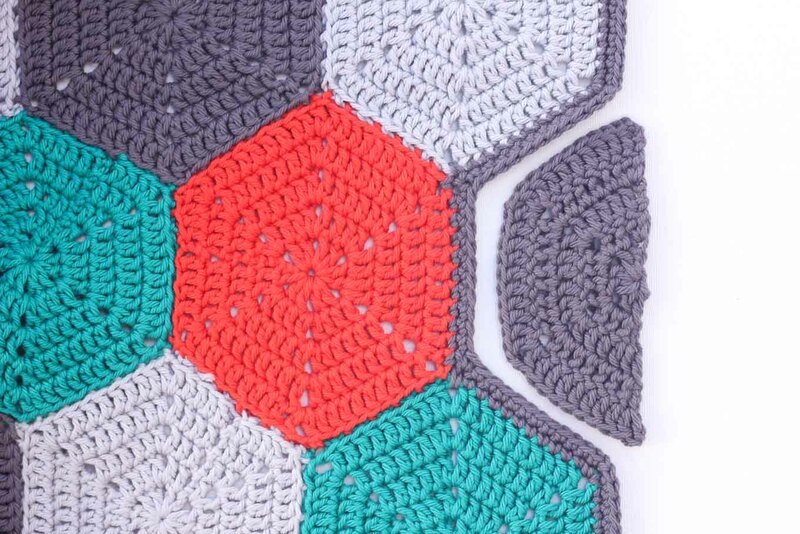 Betcha can’t stop at just one hexagon project! Here are a few more to satisfy your geometry cravings. 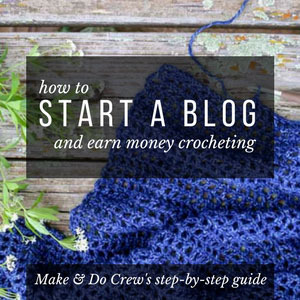 I love crocheting hexagons and it’s so nice to find someone else who does too! But I didn’t know what to do with the edges when sewing them together.. 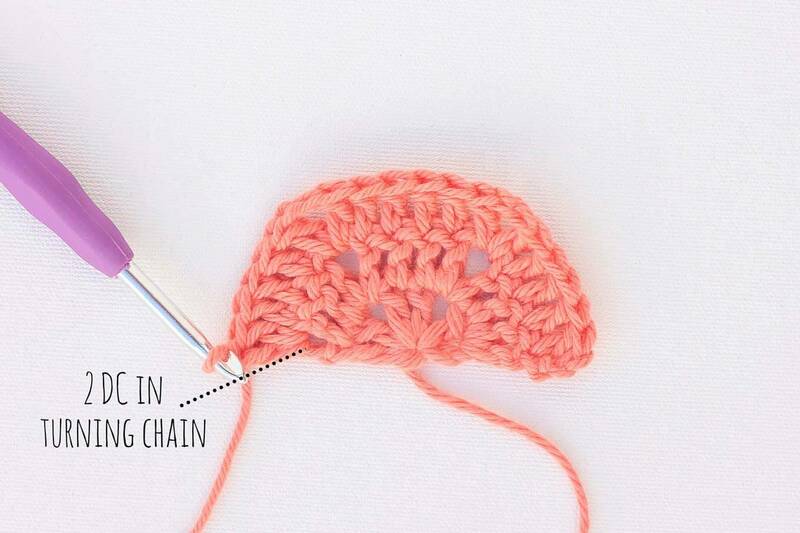 Thank you so much for your tutorial on the half-hexagon. 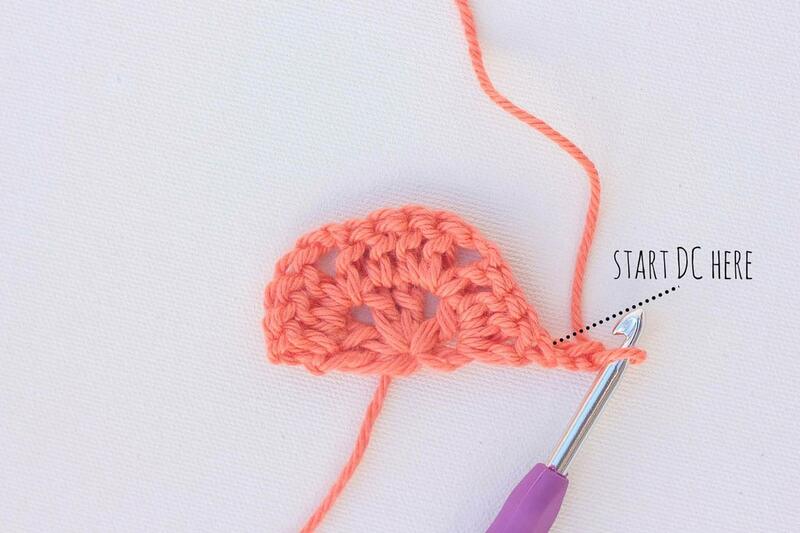 I am going to try it. Also thank you for showing me how to join them better than I have been doing up to now. Me too! I hope you enjoy this one, Elisabeth! I love your method of sewing the hexis together! I’ve never thought of this. 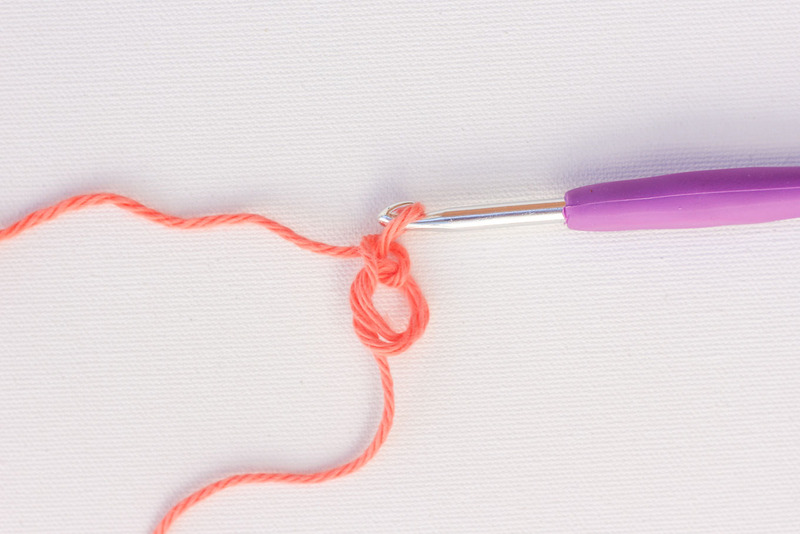 I usually do a whipstitch thru the back loops, but can see how this method makes a much flatter join. Definitely going to try this! Thanks. Hi, thank you for these and the half hexagon instructions also. 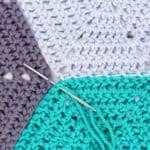 But in the half ones, you turn at the end of each row, rather than cutting and re-joining. But won’t this make the half hexies a mix of right and wrong-sided? 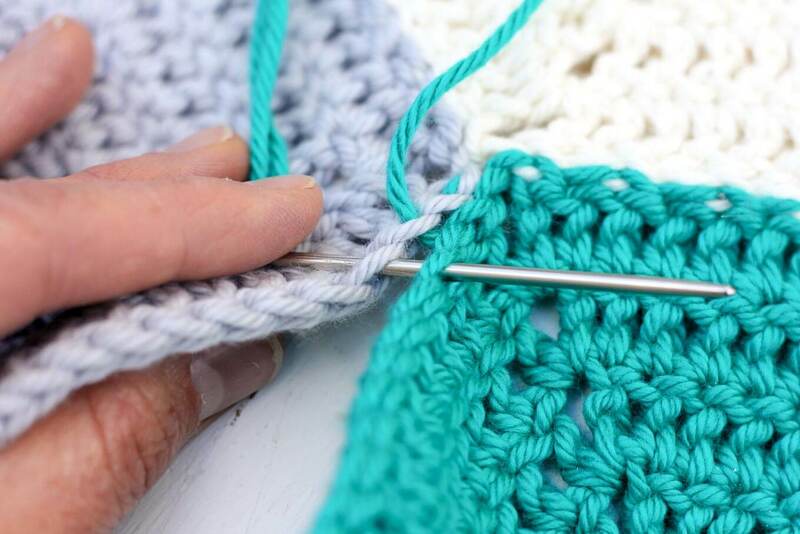 Won’t they look quite different to the full ones when you join them on to your blanket edge? Or am I missing something? Many thanks.